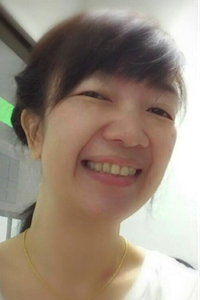 Following completion of her degree in Microbiology at the Faculty of Medical Science, Naresuan University, Phitsanulok Kanlaya commenced work in the Malaria laboratory in 2004 and became its manager in 2011. She is skilled in malaria culture and microscopy techniques. Her work involves supervision of the laboratory routine workflow from culturing and processing clinical specimens for all clinical studies, in vitrowork (parasite culture, flow cytometry, microscopy, schizont maturation assay), blood spot collection for PCR work to coordinating data entry, analyses and archiving. She also supervisors laboratory staff and many visiting students.